When I was visiting my parents in July, I spent some hours tunneling through decades of debris in the old family mansion. My assistant was my 12-year-old nephew, Jared. We had hard hats, headlamps, rope, pickaxes, specimen bottles – everything you need when dealing with your parents’ lifetime store of stuff. My main goal was to not lose Jared back in the 1950s. Jared wasn’t impressed by most of what we found that afternoon. I think he was hoping for something that had fallen off a passing comet and that Dad had trapped in the back yard and boxed up in the basement. About the only thing that interested him was an electric, plug-in calculator that only printed on one side of a roll of paper tape. Jared, who lives in a wholly digital world, thought it was cool that a machine could leave a printed record of its work. Either that or he just thought it was cool that I let him take it apart. But I found something I thought was cool: Pencils. In case you’re wondering, an old pencil’s value on eBay is approximately one dollar in U.S. money. I was thrilled to find these, though I couldn’t say for sure why. When I don’t have a computer in front of me, I have a pen in my hand. But there’s something about pencils, and their fragrance, that makes you happy. Like skipping. You can’t skip and not be happy. You can’t open a box of pencils and not feel happy looking at all that unsharpened potential. I’ll use these extra-thick crayons when I write to emphasize my characters’ emotional traumas. I brought some boxes home in my luggage and vowed to try writing with pencils. Why not? Two writers who have meant a lot to me, Thomas Wolfe and John Updike, used pencils. Most bad writing from a great writer: I figure it’s about 50-50. Wolfe, who was six and a half feet tall, used the top of a refrigerator as his desk. He wrote with a pencil almost as thick as a crayon to scrawl 20 or 25 words on a page. He then swept the page off the fridge and started on the next. Then there’s Updike, who wrote Couples and three of the four Rabbit books with a pencil. So who am I to argue? The first thing I noticed about writing with a pencil is that the physical process is exhilarating. The feel of the pencil in your grip, the paper under the point, the lead wearing down, your words spooling out from under your hand. Some of these pencils were of a diameter that no longer fits inside modern electric pencil sharpeners, and I don’t have one of those crank models with the different aperture sizes. I had to whip out my pocketknife and whittle these guys to a point. The second thing I noticed about writing with a pencil is that it’s goddamned slow. We are not accustomed anymore to slow. We live in a world where our computers occasionally ask us if we want to “disable add-ons and speed up browsing.” Some of those add-ons are adding an extra 0.2 seconds to our browser load times. Accursed add-on! From Hell’s dark heart I stab at thee! However, I do love revising, and writing with a pencil reminded me of writing with a pen and, when I got the story off the ground, moving to my typewriter. Later I wrote with a pen and moved to my computer, and for years now the computer is where I’ve started. But this pencil thing was interesting, and not just from nostalgia. A couple of pencils and a pad of paper work better for me on a plane because the airlines have taken away all the space I once had to write with my laptop. Pencil and paper works better for me at my favorite coffee spot. And if you love to revise, you’ll love pencils, because what you just wrote with a pencil is in no way ready for public viewing. 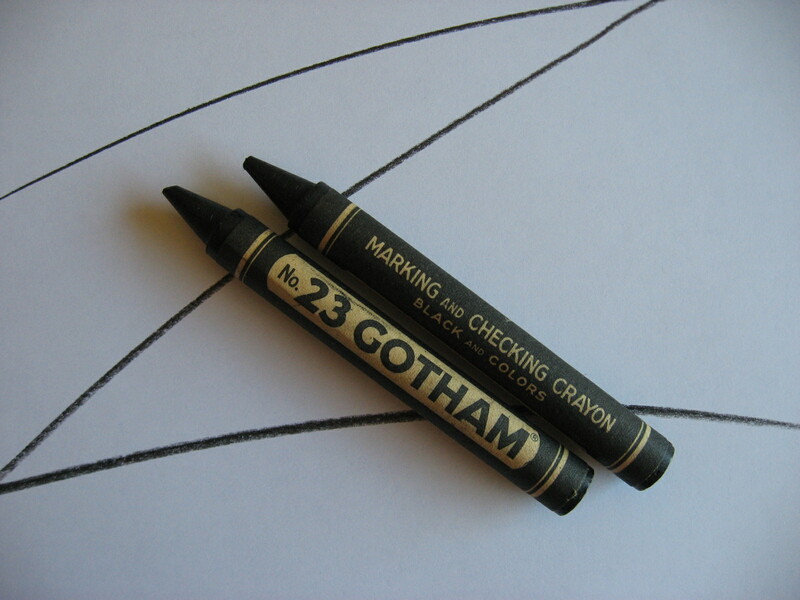 You can also doodle with a pencil. Try that in Word. I’m not going to replace my computer with pencils, but they’re a welcome change-up. As for my nephew, a retired gentleman in his hometown has been teaching Jared how to whittle. Cool is not reserved for what’s online. 1960s soul meets alternative rock, assuming anyone can define “alternative.” If you love whistling (and I know you do), you’ll love “The Walker.” The album’s closer, “MerryGoRound,” is a throwback to Phil Spector’s Wall of Sound. Coming off the success of Dirty Mind, I would’ve expected better. The title track is a towering inferno, offering an inescapable dance groove and a recitation of the Lord’s Prayer. C’mon, isn’t that what you want to hear at a club? But musically, the rest of this album lies down and stays put. Unlike Springsteen, who hit his stride with his third album and didn’t falter until he released Lucky Town and Human Touch in 1992, Prince’s fourth album doesn’t sound good after Dirty Mind. But on his next album he parties like it’s 1999. Until then. This weekend, Special D is touring the gritty, industrial, culturally backward wasteland that is Seattle. Hope she can find a decent cup of coffee. In case you’re reading this: I have conquered the wisteria. My 6th grade teacher (Mrs. W____) at Beaumont grade school in Portland, Oregon used to extol the virtue of the pencil as it related to brain activity. She insisted that just having a pencil behind/on top of one’s ear led to an increase in the ability to think. She even mentioned that her young son had undertaken the same practice of carrying a pencil on top of his ear (the right ear seemed to be the preferred one). 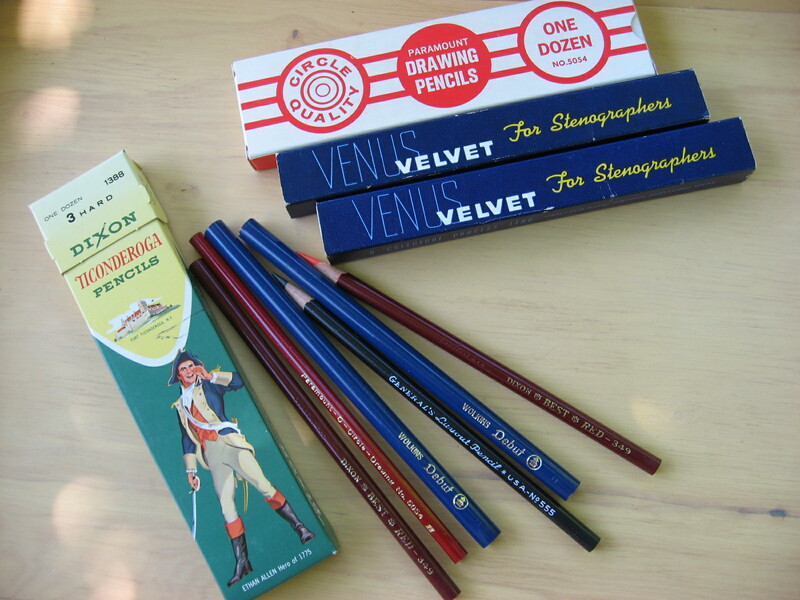 P.S.–Remember that a dozen pencils in their original box is worth much more than their worth as individuals on ebay. MIB (“mint in box”) is a pencil collector’s sword in the stone. P.P.S. or P.S.S.–does you dad happen to have an amble supply of pocket protectors to go with his pencil collections? Mrs. W might have been on to something. I was never able to keep a pencil in place behind my ear. It always fell out, and it tried to spear me on the way down. This may explain the deficiencies in my thought process. It just figures that somewhere in your past you had an honest-to-god quartermaster! No wonder you have so much stuff today. Well, somewhat less stuff. I know you’re engaged in a great battle to move at least some of it into someone else’s residence, and more power to you. I don’t believe you mentioned the pencil eraser. Did your dad’s pencils not have them? This is a burning issue for me – I still use pencils sometimes “for archival purposes” but today’s pencil erasers DON’T WORK. They don’t erase, they just smudge. I’m at my wit’s end – can you help? And, by the way, thanks for the anniversary card! And also, yes, she did find a decent cup of coffee – we stopped at Diva’s. I can’t speak for today’s pencils. Thanks to my Dad, I’ve never had to buy a pencil. Most of the pencils I’ve uncorked from the stash I found last month were not made with erasers. I haven’t opened the Ticonderogas. When I do, I’ll let you know how their erasers have held up….Years ago, I discovered (by accident) that if you buy one of those Pink Pearl erasers and keep it in a drawer instead of on your desk, it won’t fossilize. It will erase rather than smear. Mine has been erasing for years. So if I were you, I’d buy an eraser and start over. Happy anniversary, and thanks for finding my wife good coffee in that provincial town!